Tony Hoeflinger passed away early Monday morning at his home in Somerset. He was 76 years old. Tony was born and grew up in Butler, NJ. He graduated from Butler High School and Rutgers University where he earned a Bachelor of Arts in History. He was a life long athlete, focusing on football in both high school and at the collegiate level. During his time at Rutgers he was a three year starter including the undefeated season of 1961 and served as Captain his senior year. 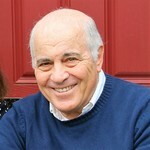 Tony was awarded Williamson All-American honors in 1963 and was inducted to the Rutgers University Hall of Fame in both 1997 and 2011. His love for sports continued to develop later in life as a coach. Serving as President of the Franklin Township Soccer Club, he was one of the principle figures in the development of the Girls, Traveling, and Nippers programs. Tony taught fourth and fifth grade at Hillcrest School in Franklin Township for 38 years, enriching the lives of multiple generations of Franklin Township children and where he met the love of his life, Eleanor. Tony loved both watching and playing sports and was an avid skier, tennis and basketball player. He enjoyed travel, his pets, the outdoors and was most often seen with his camera. Mr. Hoeflinger was pre deceased by his brother Frank Hallas and his parents Anton and Mary Hoeflinger. He is survived by; his wife of 46 years, Eleanor Hoeflinger, their children Galen Hoeflinger and his wife Kristen of Alexandria, VA and Beth Hoeflinger and her husband Michael Sacks of Newtown PA., his brother Daniel Hoeflinger and his wife Deborah of Riverdale, and three grandchildren Zakary, Sydney, and Matthew along with many friends and relatives. The Hoeflinger family will receive friends and relatives from 1-4 PM on Saturday October 27 at the Gleason Funeral Home 1360 Hamilton Street. A memorial service will begin at 3:15 PM. In lieu of flowers, please consider a contribution in Tony’s name to the Multiple Myeloma Foundation at https://themmrf.org/get-involved/donate-to-the-mmrf/donate.